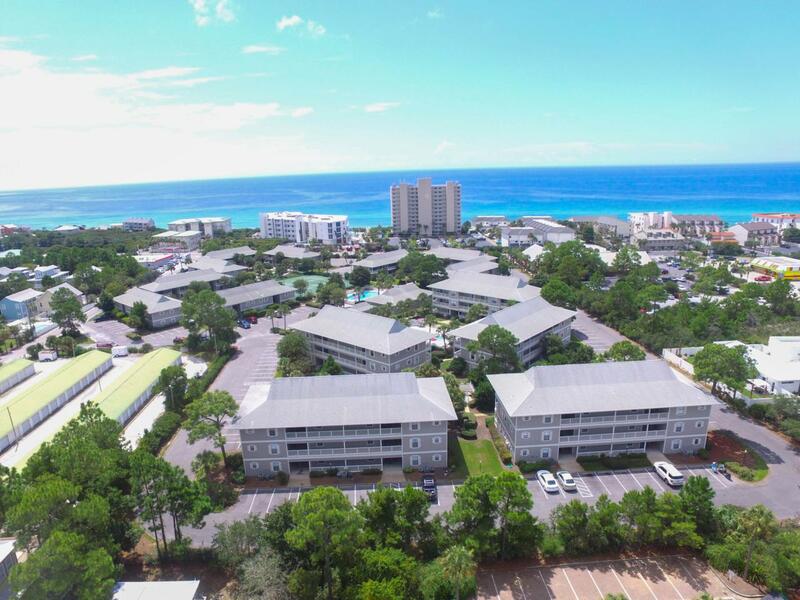 BEST VALUE on 30A in the heart of Seagrove Beach. This conveniently located 3BR/2BA condo is the perfect investment or vacation getaway. This condo has new granite countertops, backsplash, deep stainless sink, faucet, and appliances in kitchen. New wood floors in bedrooms and kitchen. New ceramic tile floors in living room, dining room & bathrooms. New ceiling fans. New lighting in dining room and bathrooms. This community offers excellent rental potential and has lots of amenities: two swimming pools, two lighted tennis courts, shuffleboard courts, playground, outdoor grills and lush landscaping. Make memories while relaxing amid the beauty and unique atmosphere of 30A and the Beaches of South Walton. Easy walk to the public beach access across from Beachwood Villas.